Merry Christmas and Happy New Year! The holidays are here which means the NBA will be on showcase tomorrow. Personally, I can’t wait to see what happens when LeBron James takes his talents to South Beach… this time in a Cleveland uniform. Things have gotten interesting over the past couple of weeks. A coach got fired and a couple of big names are on the move. Once the new year comes and goes, the season really picks up. I can’t wait to see what happens on our way towards the All-Star break. It’s been a rough year for the Detroit Pistons. They came into the season with high expectations after Stan Van Gundy signed on to be Head Coach and Team President. He has a hard-nosed approach with his players and seemed like the right guy to straighten out Brandon Jennings and Josh Smith, their two prized free agent signings from the year before. I had Van Gundy winning the coach of the year in my awards predictions column before the season tipped off. I was way off on that one. The Pistons have stumbled out of the gate with a 5-23 record. They have the lowest field goal percentage in the NBA and are near the bottom in scoring. Jennings and Smith were never going to work and I should have realized it much sooner. I bet Stan Van Gundy is feeling the same way. At least I don’t get blasted in the media when I make bad calls. They are both knuckleheads who don’t know how to play winning basketball. Josh Smith doesn’t seem to understand that he is best when slashing to the hoop and playing in the paint. He would rather throw up ill-advised long jumpers even though he is a career 28% shooter from long-range. This guy has been in the league for 11 seasons. How does he not know the strengths and weaknesses in his game by now? Stan Van Gundy made his smartest call of the season thus far when he decided to cut ties with Josh Smith like a psycho ex-girlfriend. Smith was so bad for Detroit this year (13.1 PPG, 39% FG%) that Van Gundy was willing to take the cap hit and pay him $26 million over the next two years just to leave. This will allow Greg Monroe, Kyle Singler and Kentavious Caldwell-Pope to assume larger roles in the offense. They should have more flow with Smith out of the lineup since these players are unselfish and like to move the ball. I expect the Pistons to go ahead and re-sign Monroe when the season is up. Will this equal more wins for the Pistons? Probably. It can’t get any worse, that’s for sure. Andre Drummond has picked up his game the last few weeks and Monroe has a post game. I still think Brandon Jennings should be on the fast track out-of-town as well but it’s going to be hard to find someone to take on his contract. It didn’t take long for Josh Smith to land on his feet. Within two days of his release, he had a deal lined up with the Houston Rockets. 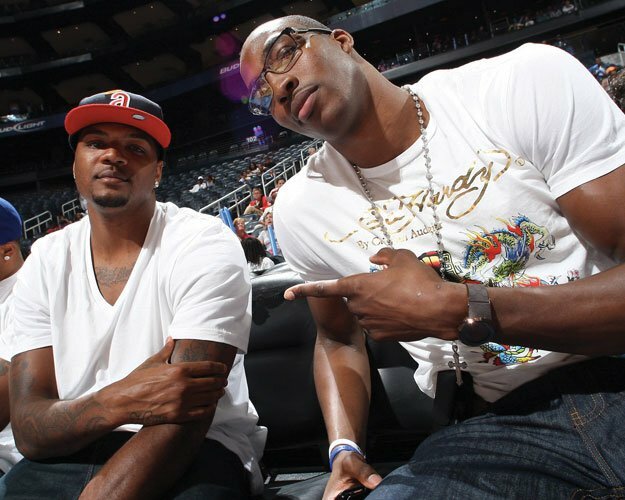 Dwight Howard was his AAU teammate back when the two were playing high school ball in Atlanta. That tie, along with the need for another power forward, led to Smith choosing the Rockets over the Dallas Mavericks. While I’m not a big fan of Josh Smith’s basketball I.Q., I could see this signing going either way. Smith won’t be asked to play out of position in Houston which should lead to more time near the basket for him. If he learns to play his role, he could be a valuable defender and a great third option. He should be able to pick up some easy buckets when James Harden draws defenders driving to the hoop. He has never played with a center like Howard. He should also draw some attention away from him. On the other hand, Houston shoots more three pointers than any other team in the league by a large margin (34.2 per game). I could see Smith firing away any chance he can get. Instead of letting James Harden go to work, he might break out of the offense and waste possessions. Josh Smith may be the Dr. Jeckyl and Mr. Hyde of the NBA. It’s a two-edged sword when you have him on your roster. It will be interesting to see how he fits in with the Rockets. If I’m Kevin McHale, I don’t hesitate putting Smith on the pine if he starts playing like a numbskull. Donatas Montiejunas has been valuable this season and he plays well with what they have. At least they will have a ‘Plan B’ without the long-term commitment to Smith. Nine seasons, two NBA Finals, one championship and countless triple-doubles. That’s only a portion of Rajon Rondo’s resume from playing for the Boston Celtics. He was a huge part of their success over the past decade and usually came through when it mattered the most. He was the final player from their 2008 title team to finally be moved when he was traded to the Dallas Mavericks last week. It was a trade that needed to be made. Boston is in full rebuild mode and Rondo wasn’t happy being a part of it. He needs to be on a team that has a shot to win and the Celtics are a couple of years away. He is going to be a free agent at the end of the season and it is doubtful he would have re-signed with them. I wish they would have taken until the All-Star break to make a move though. They basically received squat for a player that’s one of the best floor generals in the league. Brendan Wright is an athletic big man who will fit in nicely but he is never going to be more than a role player. The same goes for Jae Crowder. Jameer Nelson is a retread that won’t figure into future plans. The first-round pick they received from Dallas shouldn’t be any higher than 20th overall. They traded in a thorough-bred and received a few donkeys. Mark Cuban made out like a bandit. Dallas may have more balance in their starting lineup than any other team. Rondo was averaging 10.8 APG playing with no big time scoring options. Now he has Monta Ellis, Dirk Nowitzki and Chandler Parsons. He should have no problem racking up dimes with this team. They already have the highest scoring offense (109.6 PPG) in the league and are ranked second in field goal percentage (47.7%). That was before they upgraded their weakest position. Going forward, Dallas will be a legitimate contender this season. If they have a weakness it’s their defense but if they scorch you for 120, you’re probably not winning the game anyway. 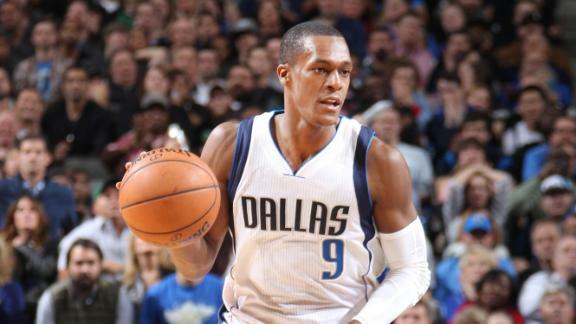 Beyond this season, the Mavs should have a great chance re-signing Rondo to an extension. Mark Cuban is one of the best owners to play for. He has a passion for the game and is willing to spend money to keep the Mavs in contention. Next to the Spurs, they may be the best organization to play for. What’s Going On With The Kings? On November 10th, I wrote a small piece about the Sacramento Kings. They were sitting at 5-1 and the vibes were positive in the River City. The Kings had us all fooled. In the first 15 games of the season, the King put up a 9-6 record. Then Boogie Cousins came down with viral meningitis and it’s been all down hill since then. 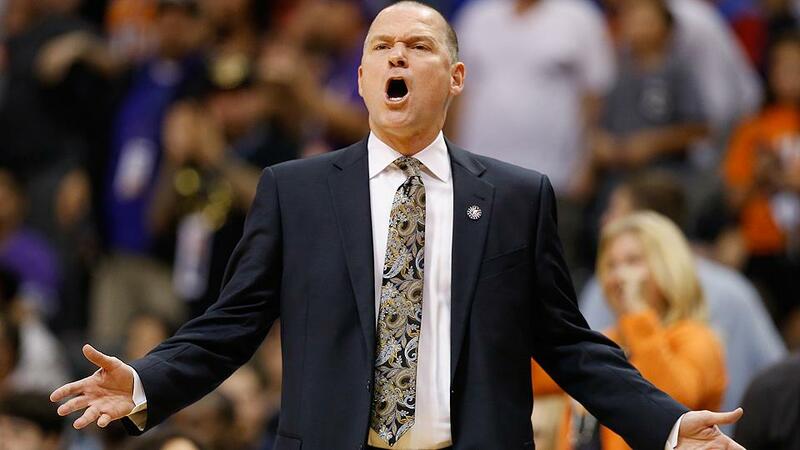 He was forced to sit out 10 games during which the Kings management thought it would be a good idea to fire his coach Mike Malone (11-13 at time of firing). Tyrone Corbin has taken over and the team now sits at 12-16. The Kings haven’t made the playoffs since 2006 and this seemed like their first real opportunity to make a run. According to the NBA sources, the team’s owner Vivek Renadive didn’t agree with Malone’s philosophy. This is an owner who wants to experiment with a 4-on-5 cherry-picking defense. What coach in their right mind is willing to try something like that in the middle of the season? Why couldn’t they just let Mike Malone finish the season out considering they were winning before the Cousins injury? This is the first progress they have made in years and now he’s going to backtrack before Christmas? It makes no sense at all. Renadive is lucky he’s the boss or else he’d probably be the one getting the axe. Damian Lillard is the definition of a cold-blooded player. The man has ice water running through his veins. Since he entered the NBA in 2012, he has made 14 shots to win or tie the game within the final 20 seconds. This past week reminded me of why I want the ball in Dame Dash’s hands over anyone else in the NBA during crunch time. The Blazers and Spurs played a triple-overtime game on December 19th where Lillard decided to play hero. At the end of regulation, he tied the game with 1.4 seconds on a drive to the hoop and then followed it up with a block of Danny Green at the horn. At the end of the first OT, he came through again with a three-pointer to tie the game with 13.6 seconds left. Once the third overtime came around, Lillard quit playing around. He put the team on his shoulders and carried them to the win by scoring the first 9 points of the period. By the end of the night he picked up a career high 43 points and more importantly, a win. Last night against the Thunder, it was Lillard Time all over again. I think he and coach Terry Stotts figured they would remind everyone how the Blazers eliminated the Houston Rockets in last year’s playoffs because Lillard’s game-tying three gave me deja-vu. With three seconds left in regulation, he shot from the same spot and sent the game into an extra period. 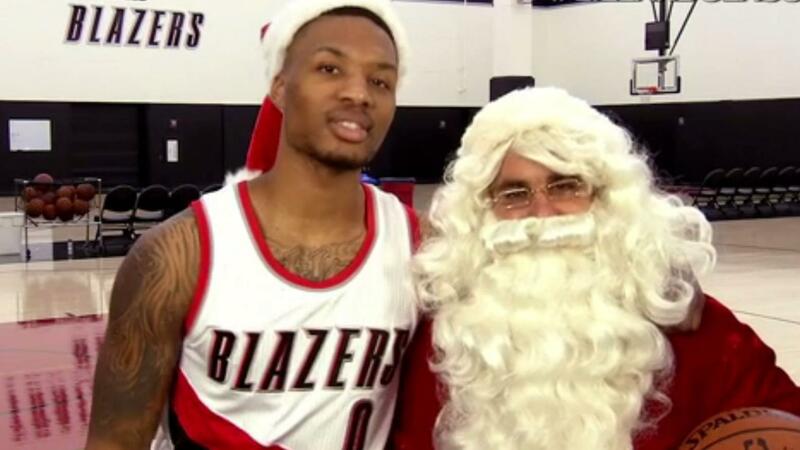 Lillard finished with 40 points and Portland finished with another overtime victory. 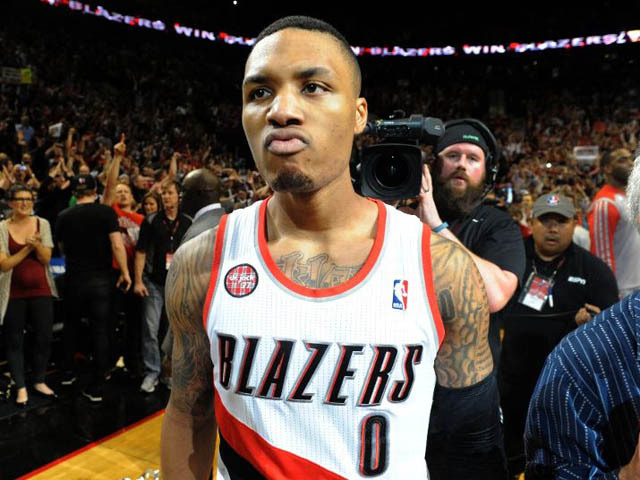 Damian Lillard has something that you either have or you don’t… the “clutch” gene. I have a hard time comparing anyone to Michael Jordan but Dame is one guy that can compare in that department. He’s done in the playoffs and he’ll do it again. It’s only a matter of time. I wish for LeBron James to get a loud ovation in Miami tomorrow. I wish for Jabari Parker to have a rapid recovery from his torn ACL. I wish for New York to make a trade, making them more entertaining. I wish for Lance Stephenson to mature. I wish for Nicolas Batum to find his jump shot. I wish for Derrick Rose to return to his old, healthy form.